This is a Colt 6933 (well actually a 6945 lower with a 6933 upper). The factory trigger was replaced with a Geissele SSA trigger. 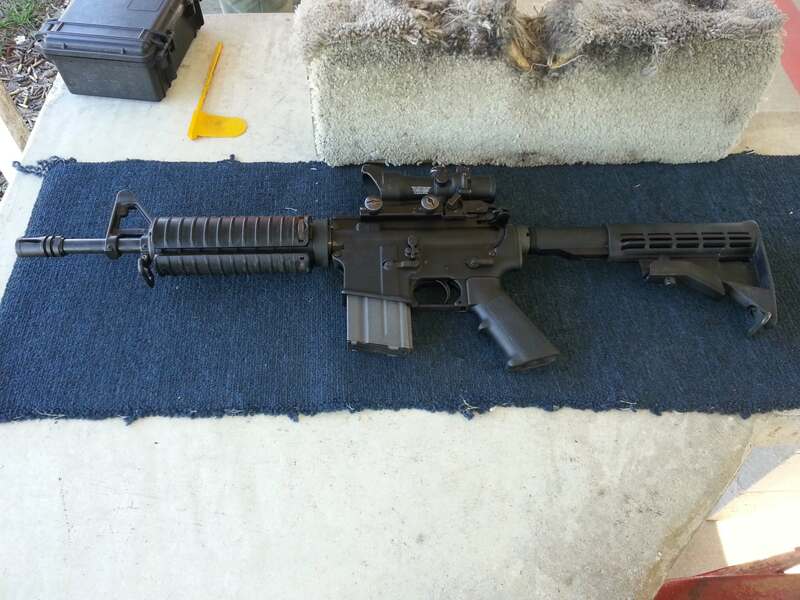 A KAC M4 RAS was added to provide a quad rail and add some weight to the front of the gun. The carry handle was removed and replaced with a Matech rear sight. The TA31F ACOG scope was installed because I tried to sell it but no one wanted a $500 beat up ACOG. It is not as light and handy as a stock 6933, but it is a fun little setup.